Keep Summer going with one of our seasonal arrangements, such as Summer Moon. 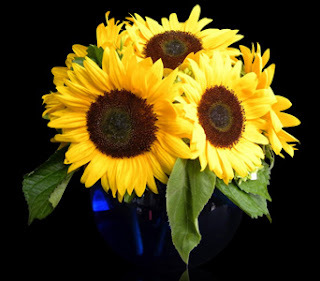 The design appears as if the sun is setting over the moon with golden sunflowers mounded atop a cobalt blue orb vase. To browse all of our seasonal arrangements, click here.